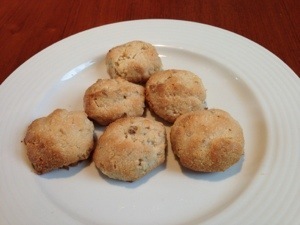 Here’s a quick and delicious recipe for one of my favourite paleo snacks, almond cookies. Pre-heat an oven to 150c. Take the coconut oil and honey, melt in a pan then stir in all the dry ingredients. Take a heaped table spoon of the mix and roll into a ball. Pop on baking tray and pop in the oven. Cook, cool and enjoy!